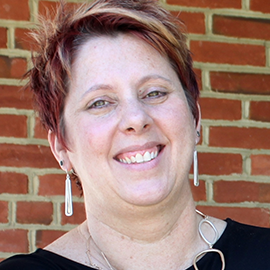 Amy R. Stapleton is the Manager for Bereavement Services at the Chesapeake Life Center at Hospice of the Chesapeake. She brings a depth of experience from working with individuals and families during times of crisis and loss in various settings including hospitals, youth and family service centers and nonprofit community mental health agencies. While she currently sees clients across the life span, her passion is working with children, young adults and their families to increase resiliency and develop coping skills as they incorporate loss into their lives.